The Lisa Michelle Memorial Fund is a non-profit that provides scholarships to students who have lost a parent to substance abuse. In May or June 2017, we will be hosting our 2nd Annual Softball Tournament to raise money for our 2017 and 2018 scholarship awards. 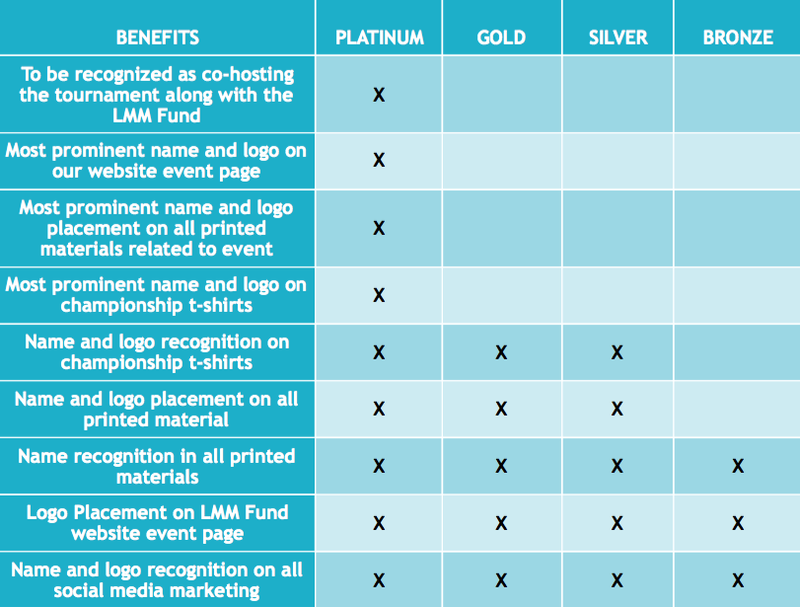 The LMM Fund is seeking sponsors to help alleviate the costs associated with the tournament so that we can provide more to the students we help. All sponsorships are tax deductible. Click here to check out highlights from our 1st Annual Softball Tournament. Platinum Sponsor: $2,250 towards the largest costs associated with the tournament which includes the fields and t-shirts. Gold Sponsor: $500 towards other costs or raffle prizes worth $300 or more. Silver Sponsor: $200 towards other costs or raffle prizes worth $300 or less.